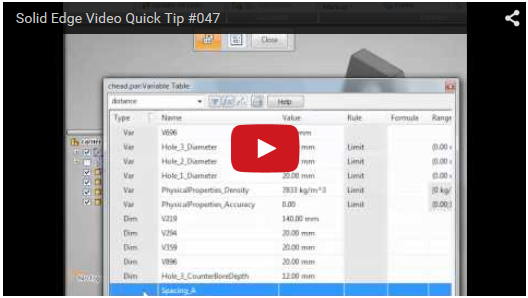 In most cases, the variables of a Solid Edge Part are accessed from an assembly using Peer variables, but this tip shows how to access the variables of an assembly from a Part file. 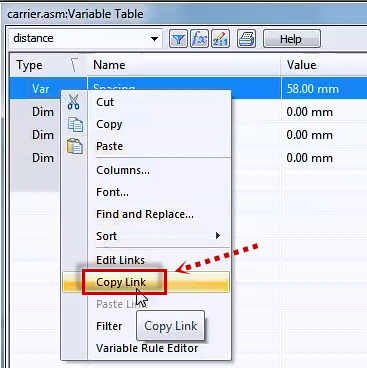 Copy Link the variable from the assembly first. Start the Peer Variable command and pick the part from the PathFinder into which you want to paste the variable copied from the assembly. Paste Link the value to a new variable in the part file. You may need to explicitly update links when the assembly variable changes. This way you can access a variable from an assembly into a part.